Ask anything your want about assembly programming in Sega Genesis (32X, Sega CD) console. Ask anything your want about some Sega Genesis games. All about Sonic 2 is here. 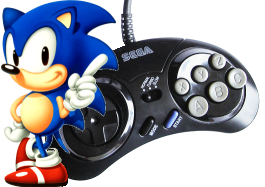 All about Sonic 3, Sonic & Knuckles, and Sonic & Knuckles lock-on games. All about Sonic 3D Blast. Ask anything your want about other Sonic games.